Along lush meadows, a tour around the different lakes, over mountain passes or down the ski slopes in winter – it never gets boring on two wheels in Bern. Bern is a stronghold for cycling. Cyclists are greeted with multi-faceted tours, gentle hills and steep trails. There is a wide range of routes with different levels of difficulty. Whether it is on a mountain bike, an electric bike, a fatbike or a racing bike, the Bern region offers enjoyable bike rides for every taste. You can follow the tracks of the Tour de Suisse cyclists and enter the City of Bern via the Emmental and Ostermundigen. In the Gantrisch area (German), visitors have a total of 200 km of bicycle routes and mountain bike trails at their disposal. 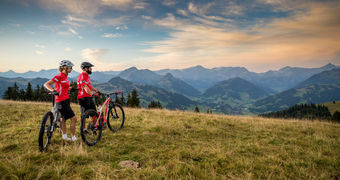 The Gurten provides an adrenaline rush for downhill fans, and the 160 km of mountain bike trails in Grindelwald allow bikers to let off steam in front of the Eiger, Mönch and Jungfrau. Thanks to the fatbikes in Kandersteg (German) and Gstaad cyclists can enjoy fast-paced descents in the snow. There are endless possibilities to explore Bern on two wheels. In order to advertise the diversity of the canton even more, the BE! Tourism Ltd. has partnered with the Swiss bicycle manufacturer Thömus since 2016. 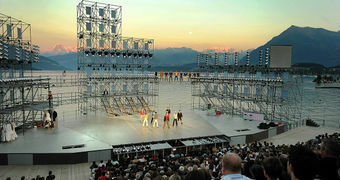 By means of targeted measures, visitors to Bern will get to know the diverse possibilities and offers.